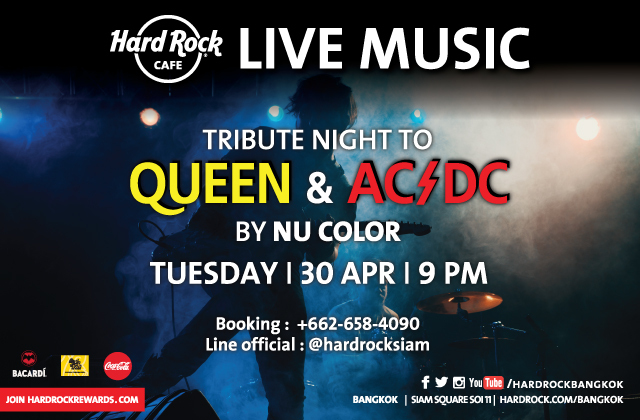 There is always something exciting happening at Hard Rock Cafe Bangkok! From local live music to special offers, our Event Calendar is a great way to get the insider scoop and first look at upcoming happenings. 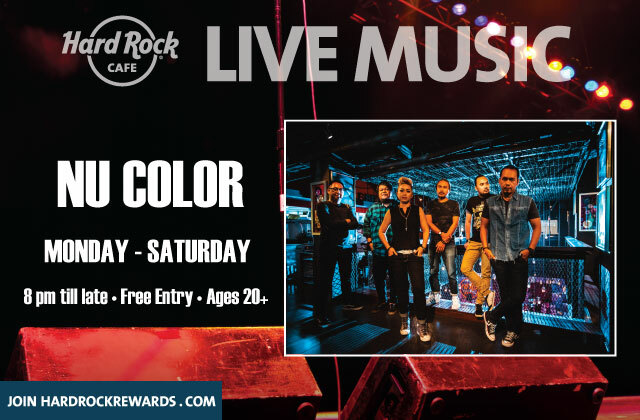 LIVE MUSIC WITH "NU COLOR"
Nu Color will be rocking you on the stage every night from Monday to Saturday! No cover charged! 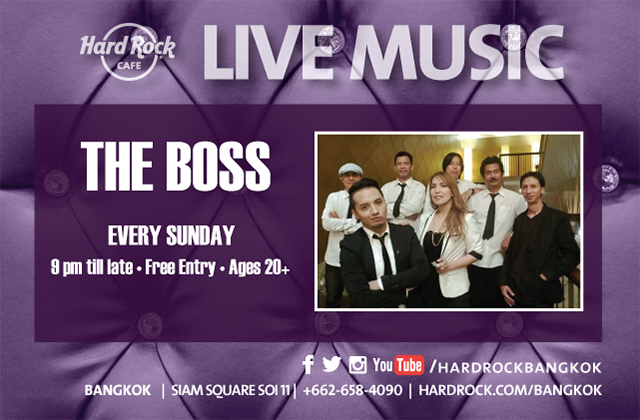 LIVE MUSIC WITH "THE BOSS"
Get together on every Sunday with our rock solid house band "THE BOSS"
Join us on the last day of April with “QUEEN x AC/DC Tribute Night”. 2 gigs of the greatest rock bands by our super energetic house band “NU COLOR”!